Global businesses face increasingly complex and volatile markets, creating an urgency to search constantly for meaningful insights to gain advantage over the competition. But just having access to a lot of data does not create value. Finance analytics tools enable companies to handle the abundance of data available and intense competitive pressures that require quick access to answers that ultimately drive business decisions. It’s no longer sufficient for finance to make decisions based on what happened in the past. Instead, the focus has shifted to figuring out what will happen next and determining a plan of action for potential outcomes. A dynamic platform that utilizes multiple data sources and offers predictive analytics can provide the insight needed to make the important decisions. “Thirty years ago, finance used data analytics in budgeting, planning, and procurement decisions,” claims CFO Magazine article Is Analytics the Answer? Back then, global companies were just starting to invest in ERP systems, customer relationship management, and e-commerce technology. Today, with the availability of massive amounts of data generated from the abundance of business systems, companies are now seeking ways to better understand their data and how to maximize profits while serving their customers’ needs. Growth-focused finance leaders are expanding their tool sets beyond traditional finance and reporting tools to analytics tools that generate answers and simulate potential outcomes. A recent Ventana Research study, Achieving State-of-the-Art Finance Analytics, surveyed finance leaders around the world to find out their stance on analytics. 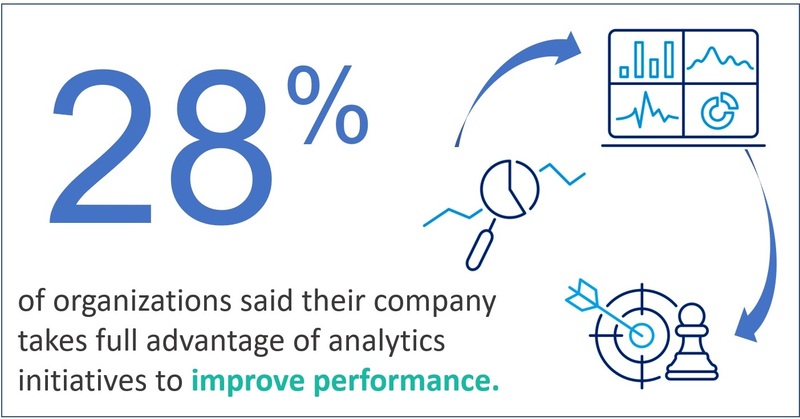 The study states, “Today, Finance must go beyond the basics of analytics by expanding the scope of the data being examined to bring together financial and operational information that can yield actionable insights.” Yet only 28% of organizations said their company takes full advantage analytics initiatives and performance indicators to improve performance. Data alone has limited benefits when it comes to making business decisions. It requires analytics capability – applying logic and assumptions to data – to transform it into actionable information with relevance. Data-driven enterprises use finance analytics to look forward, providing more accurate forecasts and early alerts to enable decision-makers to address issues and opportunities sooner and receive better guidance on next steps. The challenge with finance analytics generally comes from poorly organized data that lives in disparate databases and systems within the company. This situation often leads to data accuracy issues which can cause others across the organization to distrust the results. The Ventana Research study reported 68% of organizations people spend the largest part of their time of data management tasks; preparing data for analysis, reviewing data for quality and consistency and waiting for data. Only 21% said they spend the most time analyzing their data. Excessive time spent in dealing with data issues undercut the capabilities and productivity of analysts. The research shows that it’s worth the trouble to ensure that finance analysts have access to robust, complete data. Successful organizations recognize the importance asking the right questions of data to derive useful results. Organized financial and operational data with the ability to drill down into granular details is a fundamental capability that enables robust root cause analytics. Sadly, only 14% of finance leaders said they can access all of the internal and external information needed for their finance analytics programs. The questions can and should run across every area of the business. Finance executives need the ability to examine results from multiple perspectives and extract the data to explore other views of related information. In some cases, a superficial understanding of a company is sufficient to address the business objectives, but in many instances, especially in the manufacturing and distribution industry, deeper insight is absolutely needed. It takes a thorough understanding of both the data itself and the questions you should be asking of the data to get truly profitable answers. Are Your Analytics Tools Effective? When effective analytics tools are properly used, meaningful insights can help business leaders focus on key business drivers and apply business and financial metrics to improve the performance of individuals or business units. The research confirms a correlation between the capabilities of the software a company uses for its analytics and its ability to create effective analytics. 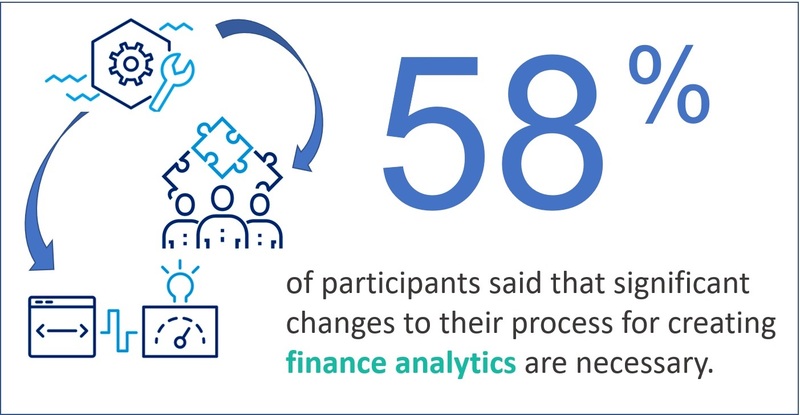 However, 58% of participants said that significant or major changes to their process for creating finance analytics are necessary. Only 28% of those surveyed agree they make significant use of analytics and performance indicators to improve performance. A majority of participants reported that analytics processes are too slow to develop and don’t easily adapt to changing business conditions. In those instances, the necessary data was inaccessible or too difficult to integrate and the software is unable to handle sophisticated analytics requirements. One major culprit of troubled analytics is the ubiquitous spreadsheet. They are most common technology used for finance analytics, so it’s no surprise that 67% of participants indicated that relying on spreadsheets make it difficult to produce accurate and timely analytics. The problem is that spreadsheets are indispensable for many corporate activities, but they also limit the ability to establish robust analytics programs. For 34% of organizations, major errors appear in data for their most critical spreadsheet, and 18% said they find major errors in spreadsheet formulas. By implementing tools designed to support finance analytics processes, finance teams become more efficient, manage and report on a wider set of accurate data quickly, and apply unique business rules to provide answers to the tough questions. Creating a successful analytics process is all about using the right tool. 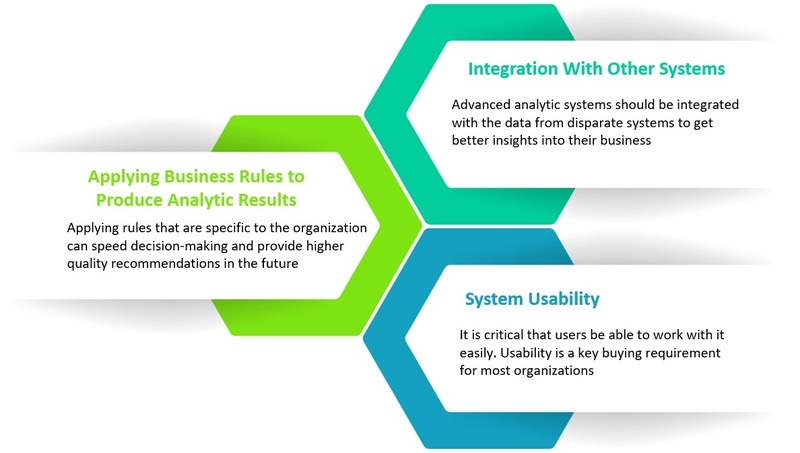 Without the right tool, companies can kiss sophisticated analytics (and profits) goodbye. Additionally, understanding all the factors driving costs related to a project can improve project management and support better-informed pricing of projects. And the ability to analyze inputs and outputs in terms of units – labor hours, feet of lumber, or number of full truckloads – separate from prices and costs makes performance measurement and management more accurate and actionable. Analytics now drives today’s enterprise, from formation of business strategy to powering operational excellence. Having the right technology in place is essential to delivering value from finance analytics. Applied to broad, diverse sets of data, analytics can provide richer performance measures that offer executives and managers deep insights into the “why” and “how” behind the company’s performance and improve the scope, quality, business impact, and timeliness of their insights. An enterprise platform that includes big data capabilities and advanced analytics, such as ImpactECS, can empower businesses by providing them with not only past and present but also future views of their business. ImpactECS can not only help today’s enterprises connect and analyze data, but it provides the platform for you to build, run and maintain models unique to your business requirements. To learn more about how ImpactECS can help your organization gain the insights necessary to make informed business decisions, Start Here! Ready to see ImpactECS in action? Schedule a Demo!